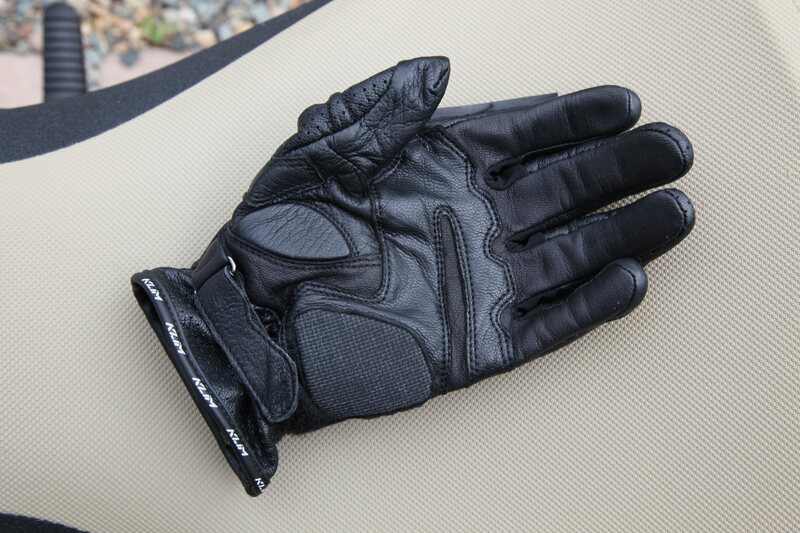 It’s an almost interminable quest––the search for the perfect riding glove. Not only are every individual’s hands proportioned differently, every manufacturer has their own interpretation of the ideal shape and feature set. 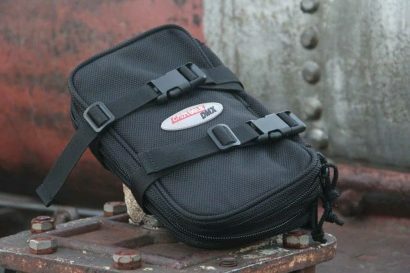 A quick search of the internet for motorcycle gloves produces an overwhelming number of options, even within just the summer glove segment. With a summer of riding behind us, we thought it was time to review three of our favorites of the summer. Slipping your hand into a Held glove, it’s apparent they have a passion for what they do. A family owned business based in Burgberg, Germany, Held has been manufacturing the highest quality gloves since 1946. 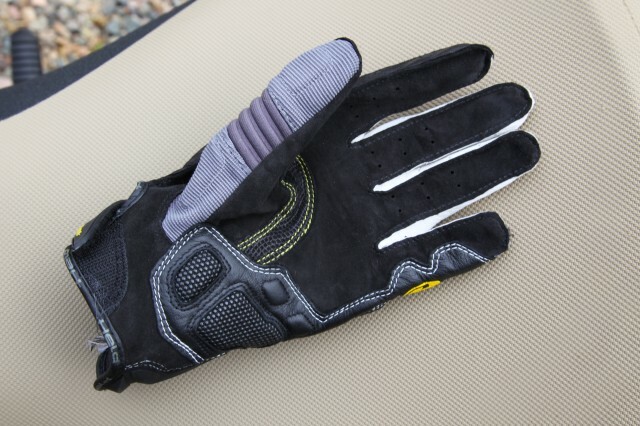 The Sambia is their lightweight summer glove ideally suited for adventure riding. There’s a lot going on with the Sambia starting with a supple kangaroo leather palm which gives the glove impressive dexterity and durability. The backside of the glove is constructed of colorfast Spandex with a hard plastic knuckle guard and a small velcro closure. Rubber guards at the outer edges of the wrist provide protection of vulnerable areas without unwanted restriction of movement, and additional pads in the palm of the glove relieve pressure for all day comfort. If you suffer hot hands, the REV’IT! 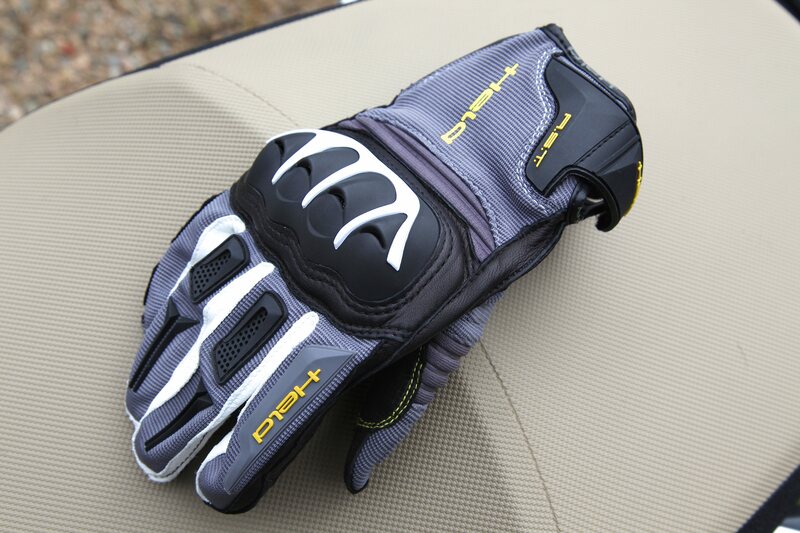 Sand Pro gloves should be on your short list. Few gloves provide such comprehensive ventilation thanks largely to the Sand Pro’s unique flexible knuckle protectors which allow large volumes of air to pass directly into the glove. 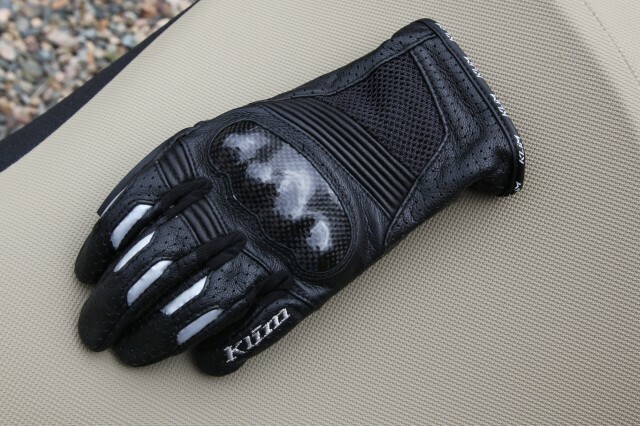 Those knuckle guards are also extremely comfortable as they form perfectly to almost any hand. The Pittards WR100X Hairsheep Diamond goatskin construction is paired to air stretch mess for optimal durability, dexterity, and ventilation. 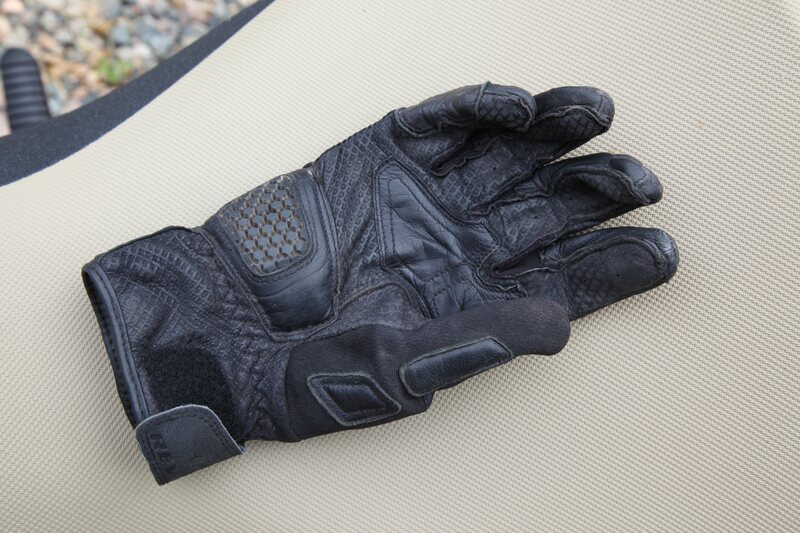 The tri-fleece liner wicks moisture and gives the glove a soft feel free of pressure or abrasion points. Foam padding at the outer edge of the wrist is covered in leather and offers maximum movement of the wrist without any restriction or discomfort. For those riders who trust leather above all other materials, the Induction Short will hold great appeal. Constructed of premium grade perforated leather with Pittards Armortan ceramic-reinforced leather palms, the Induction has all of the benefits of a full leather glove. 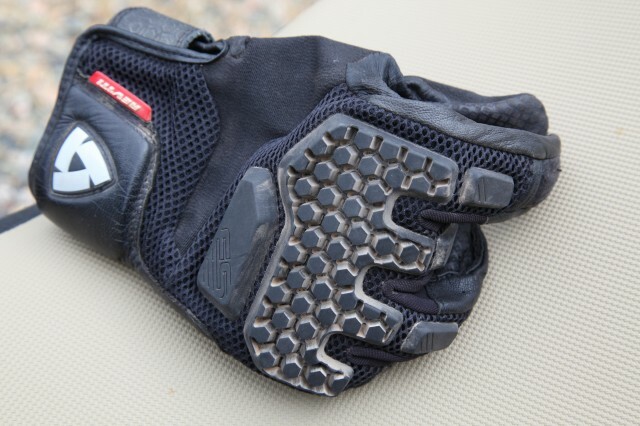 After a few hundred miles, it begins to form to the user’s hand optimizing fit. 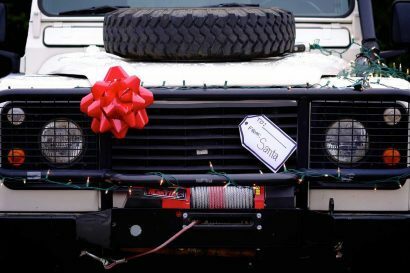 The carbon fiber knuckle guards are nicely shaped to accommodate most hands, and do not cause any unwanted pressure. 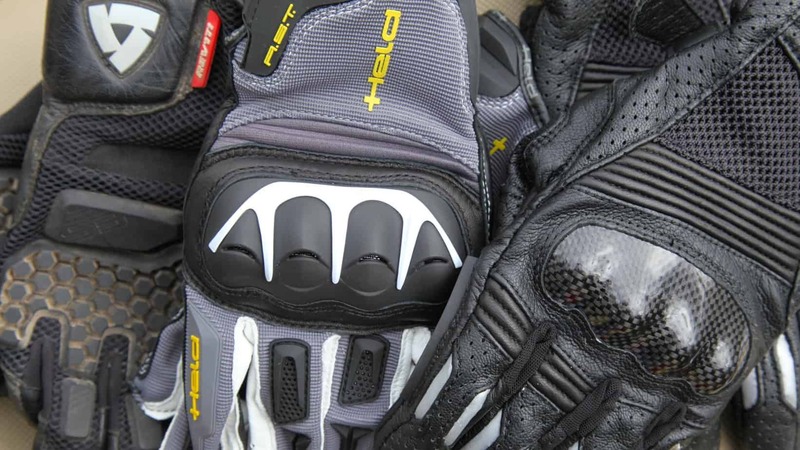 The large mesh panel on the back of the glove permits good air pass-through and a double-back velcro strap keeps the gloves securely in place. The Verdict: Having tested a variety of gloves, these three proved to be our top picks of the summer. 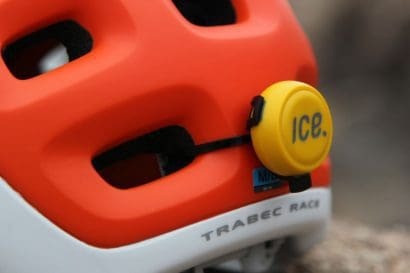 Fit will always drive the final decision, but when evaluating each glove based the protection provided, the cooling capabilities, comfort and other features, the Held Sambia edged out the other two for our top spot.